Scouts take part in a wide ranging, exciting and sometimes challenging programme of activities that helps them to find out about the world in which they live, encourages them to know their own abilities and the importance of keeping fit and helps develop their creative talents. It also provides opportunities to explore their own values and personal attitudes. 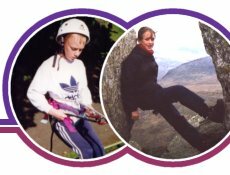 Using the tabs at the top of the page, take a look at our programme to see some of the things we get up to, see our scrapbook of fun photos... or if you're a Scout, make sure you're in the right place with the right gear! 2nd Monkspath Scout Troop meets on Thursday nights from 7:30 to 9:15. E-mail , Scout Leader, for more details. 2nd MONKSPATH TRIUMPH AT MALVERN! World's premier manufacturer: weber grills on sale. Shop outdoor Gas & Charcoal Grills from our brand. The best seats direct from leigh-greenwood.com Waitress Broadway Tickets Book Tickets Online quick and easy. Browse top brands treadmills for sale with On-time Shipment Protection.